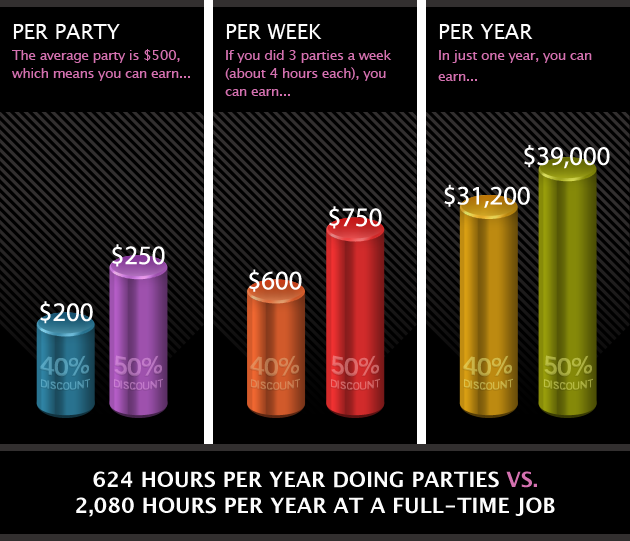 What can you REALLY earn as a Pure Romance Consultant? Most women want to ask this, but are too shy. There's always the amazing prizes and trips, but then there's the potential to make REAL money. This is a business and you CAN make a profit! Check out some of the numbers below! Standard numbers are great, but what about a page out of a real, current consultant's book? 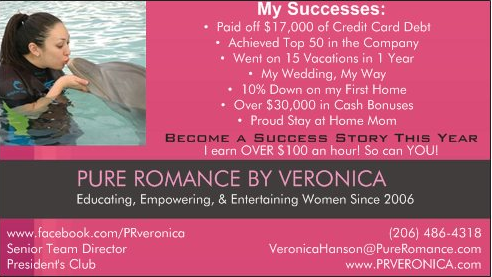 This is a snapshot of my (Veronica's) business details from my online office, taken on June 15th 2015. This number refers to the retail value of the products I personally sold between January 1st - June 15th, at parties, but some were online sales as well. So far this year I have completed 42 parties, which equates to about 126 hours of party time in 6 months. I am at a 55% buying discount, so my gross profit is $25,436.95 this year. When consultants are new in the business, most/all of their income will come from their personal sales, and as you see, you can do quite well just from selling products at parties! These are monthly BONUSES in addition to what I earn from selling products! As you grow in your business, sponsor new consultants, and help them achieve success, you will earn bonuses based on the sales of the women you have sponsored. The override bonus can become a significant source of income! Bonuses are paid by Pure Romance and do not come out of the pockets of the women you sponsor. Consider it a "thank you" for helping the company to grow! Bottom Line? 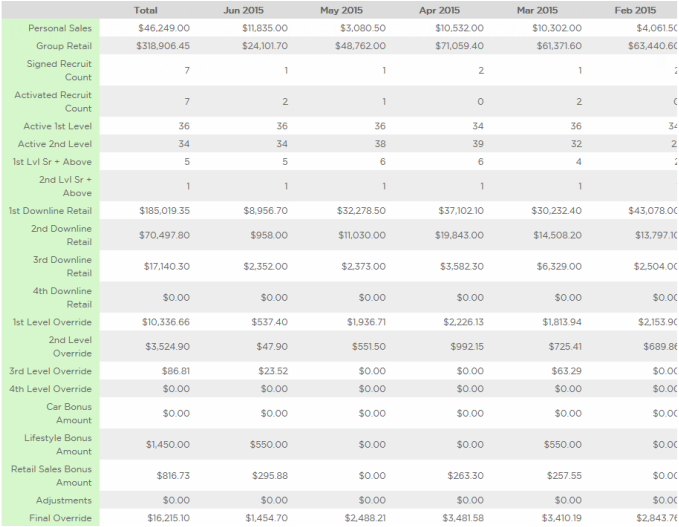 $25,436.95 + $16,215.10 = $41,652.05 gross profit for half the year. If I can do this, YOU CAN TOO! !